Exposed aggregate is a hard-wearing surface with a designer edge that has earned the title of the ‘king of driveway materials’ in Australia in recent years. There are several different ways this popular form of concrete can be used on residential properties. Today we learn about 4 different ways you can use exposed aggregate to enhance the exterior areas of your home. Exposed aggregate concrete can be used to make your driveway look more stylish, modern and aesthetically appealing. Recent research conducted by Holcim including a study of 407 Australian homeowners in December 2016 found that homes with a driveway made of exposed aggregate concrete were not only seen as more contemporary and attractive than others, they were also worth more. Exposed aggregate concrete is a seriously smart choice for swimming pool areas. 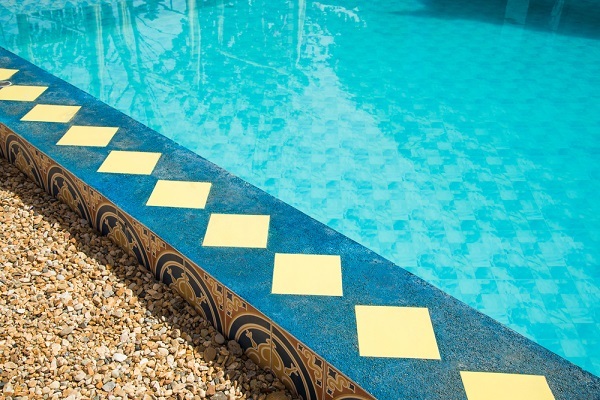 The slip-resistant properties and versatility of this surface make it the perfect solution for pool surrounds. The raw texture of Australian stone revealed in the exposed surface create a striking visual effect around water, ensuring your pool is integrated perfectly with the rest of your backyard or outdoor setting. Thanks to its durability and adaptability, exposed aggregate concrete is also being used by homeowners across the country as a surface for outdoor entertaining areas. With exposed aggregate you can upgrade your patio or al fresco area, making it look instantly more attractive and ‘on trend’ without worrying about significant maintenance. You will most likely only need to clean your exposed aggregate patio periodically. Exposed aggregate is a great natural-looking surface to use for your pathways and other landscaped areas. Due to the many different aggregate blends available in various colours and stoned textures, it is possible to customise exposed aggregate to perfectly complement your garden, courtyard or other type of landscaped area. Exposed aggregate is an ideal material to use around rocks or against timber, and can also be used to prevent the propagation of moss and weeds. At A Better Driveway, we can honestly say we have not seen a single facade or landscaped area where exposed aggregate has not significantly enhanced the property. We are some of the most experienced concrete contractors when it comes to exposed aggregate in Melbourne. Speak to our friendly team today about your outdoor surface needs on 03 5783 4746. We will be happy to tailor an exposed aggregate blend to suit your home, budget and tastes.